Sole: This sole has been updated from the traditional Nike Waffle square nubs to hexagonal nubs that to me flex and grip the ground better. 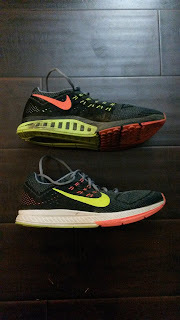 What is interesting about most Nike run specialty shoes that have the waffle type outsole is that they have excellent traction on trails. Having run in both previous versions of the Structure and Pegasus, I have repeatedly found this to be true. This may also be one of the many reasons I've never run extensively in trail shoes. 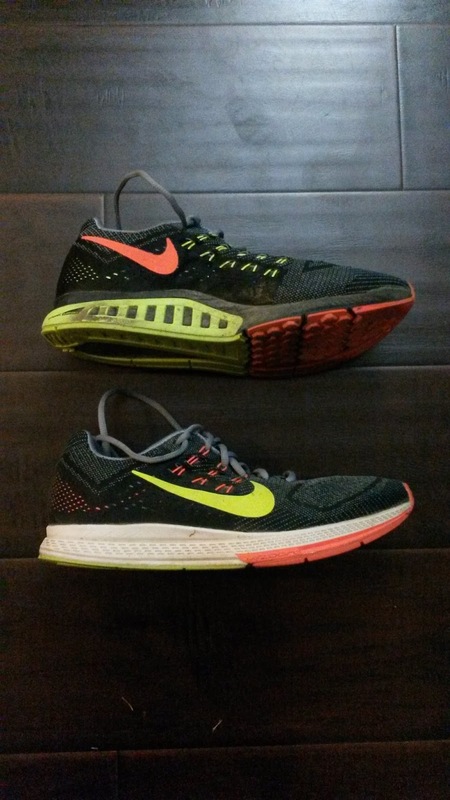 Most of the road shoes I've had have had decent enough grip and the Nike shoes have been a step above the rest. 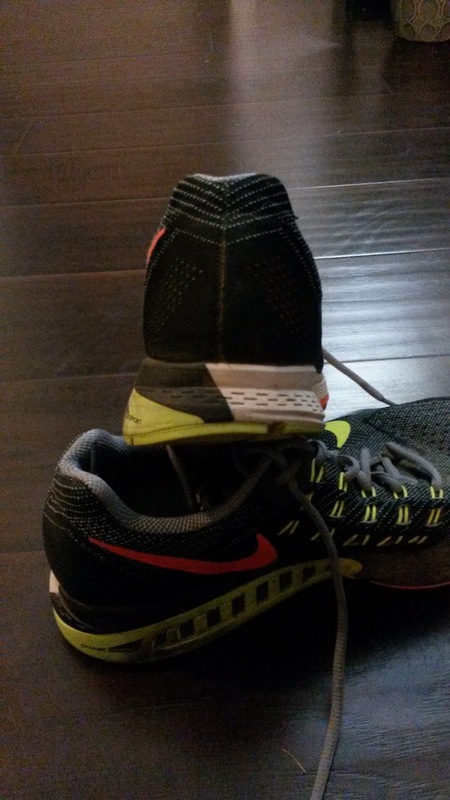 The entire lateral length of the shoe has a crash rail (aka non-nubs) that collapses nicely upon impact. This is continued from the rear of the shoe that has an awesome curved heel. This makes the ride of the Structure 18 very smooth. There is some toe-spring but I don't feel it and it hasn't bother me. It probably contributes to the smoother ride as well. The dynamic support in this shoe is interesting. It is more aggressive than the last two Structures (which turned into light stability shoes after 20 miles because the support broke down), but still adapts to your mechanics to a degree. The Structure 18 does support through a triple density midsole, which means that as you get closer to the medial (inner) part of the shoe, the foams get firmer. So the more you collapse, the more support you get. I really like the idea of dynamic stability and Nike has been doing this very well for the last few generations of the Structure and Lunarglide. It is way better than the rigid plastic systems of old because it feels like the shoe guides your foot rather than forcing it into a certain motion. Finally one of my favorite parts of the sole is that it is responsive. This is not a soft Hoka shoe. This is an uptempo, moderate stability trainer that will go as fast as you push it. See the "Responsiveness" section, but the nice firmness to the sole gives this shoe a lively feel. Upper/Fit: This is what kept me from buying this shoe. The initial try on feel is good everywhere except the first toe. I really do like the Flymesh material used in the upper and feel like it provides good structure and flexibility. However, it seemed extremely shallow over the first toe and every time I tried it felt like it was being smashed. I feared losing a toe nail. After +300 miles on a first pair and almost 100 on a second pair, I can confidently say after the upper broke in a tiny bit I've never had any issue with it. In fact it combines a nice snug fit with a flexible fit. This results in your foot being held nicely in the shoe without being squeezed. The fit is definitely average with more room in the toebox than I expected (I'm pretty sensitive to that). There is a decent heel counter but it is cushioned. So those who have sensitive heel bones will be fine, but know that your foot will be locked down very well. I have never had any foot slippage in this shoe. Overall other than the initial try in feel I have very much enjoyed the upper. Durability wise it is thick enough that I have not seen any loose seems (even at 300 miles). Despite being thick I have not had any ventilation issues here in Southern California. So kudos Nike. You did well with this one. Responsiveness: The Nike Structure 18 has a Zoom unit in the forefoot only and when activated is very responsive. I have found myself doing many more uptempo runs, unplanned fartleks and tempo runs in this shoe at very respectable paces considering despite running in these trainers. The Structure 18 definitely pops off the ground when you land and push off. This is due both to the firmness of the sole and the Zoom unit which I can feel more than any previous Nike shoe. Not sure if they changed something but whatever it is worked. Don't expect a soft cushioned ride with this shoe. It has enough protection to be a trainer, but it lends itself to those who want a responsive shoe. Heel-Toe Drop/Ramp: Despite these shoes being listed at a 9mm drop, they do feel a bit lower. I think the curved heel contributes to this or at least smooths out the ride (continue to wish more shoe companies would do this.... Asics.... I'm talking to you). To me it feels like a 7-8mm drop, but that's splitting hairs. Just know it doesn't feel like a traditional 12mm drop trainer. 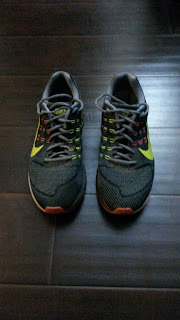 Durability: The durability on the Nike Structure 18 is great. 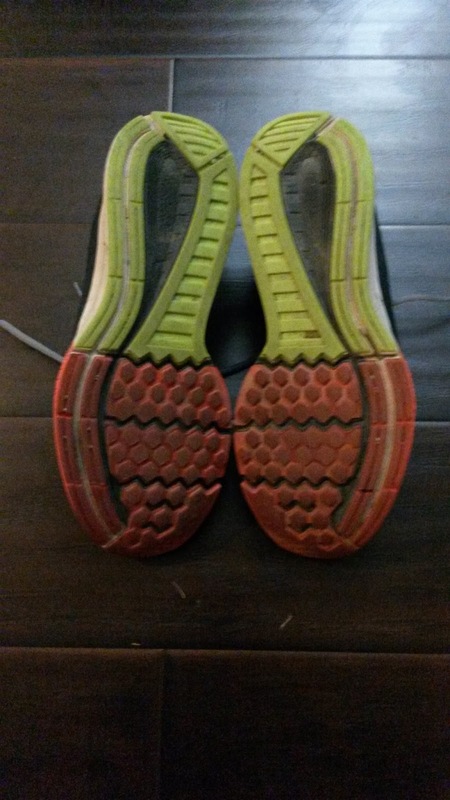 At 305 miles I am seeing almost no wear on the posterior lateral (back-outside) sole of the shoe (which I used to chew up). The crash rail part of the sole is very durable and shoes show very little wear throughout the lateral length of the shoe. The nubs in the middle forefoot however are wearing down, but are still nowhere near where I would expect at +300 miles. I'm sure if I was willing to push the mileage in this shoe I could get well over 500 miles, but for my own durability I don't do that with any shoe. Weight: I've seen this shoe listed at ~10.1ish ounces and that feels about right to me. It's not as heavy as the Brooks Adrenaline or other moderate-high support shoes, but not light enough to be a lightweight trainer. Regardless, for training miles these shoes have not weighed me down. Thoughts as a DPT (Student): I have to admit that recently I'm liking what I see from Nike. The Flymesh gives a good hold without smashing the foot, the heel of the shoe has plenty of curve to smooth the ride and there is a full ground contact outsole. What I find very interesting about this shoe is the triple density support system. I am glad that companies like Nike and Brooks are attempting to slow down the rate of pronation rather than prevent it. As I've said many times before, pronation is not a bad thing. It is a natural method a shock absorption and movement that should be CONTROLLED by many muscles, especially the posterior tibialis. One of the main functions of the posterior tib is eccentric control of pronation from loading response to midstance (go review running/walking gait mechanics) and the concentric resupination of the foot from midstance to terminal stance. Again, pronation is normal. What isn't as normal is a weak post tib that can't control that. That's where reducing the rate of pronation comes in. Not stopping it, slowing it down. In most people, pronation still needs to happen, but not without control. When a person lacks control, that's where compensation comes in, whether that comes from an over-reliance on the subtalar joint of the foot for movement, terminal stance and pre-swing occurring off the medial aspect of the first ray and all kinds of crazy stuff that may likely (but not always) lead to overuse injuries. So good on Nike for creating a support system that again slows down but doesn't attempt to completely stop a natural body motion. I for one am glad that the old rigid posts of years past are gone. Final Thoughts: This shoe is probably the fastest moderate to high support shoe I have ever run in. I thought the Brooks Adrenaline 14 was good, but that was until I tried the Nike Structure 18. 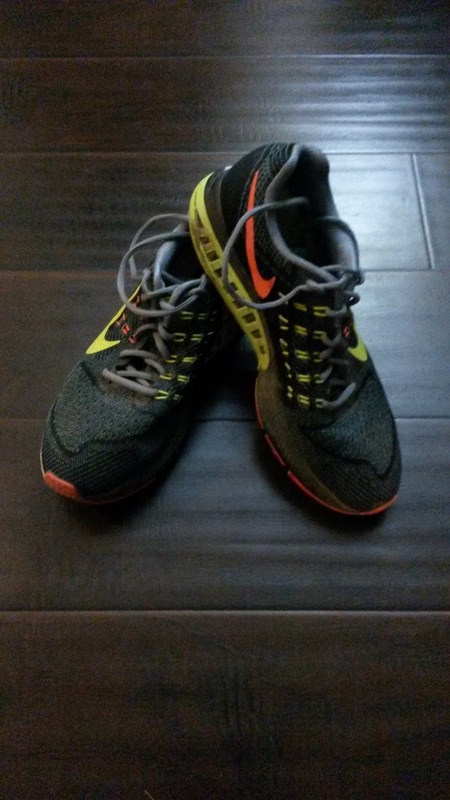 If you are in need of moderate support but still want a faster shoe, take a look at these. The ride is smooth and fast. I urge you to give these a chance and overlook the initial tightness of the upper on the first toe. I'm very glad I did. These shoes were purchased for their full US retail price. I put at least 100 miles on every pair of shoes before I review them (except racing flats which I put on at least 50 miles). Currently I have 305 miles on my first pair and 62 miles on my second pair. *Images obtained from my phone. Go down to your local Run Specialty Retailer to check them out.